Tired of low batteries? Replace your old torch or headlamp bulbs with energy-efficient LED lamps! 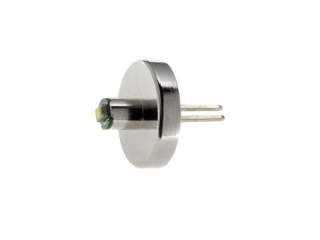 Our LED lamps are equipped with E10 and P13.5s light caps for maximum adaptability. 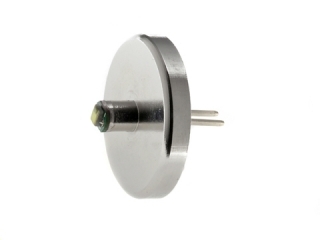 You can apply the SYSTART LED lamps to 1-9V direct voltage systems. Luminosity amounts to 100 Lumen. Super bright LED - 90 Lumen 1 Watt for MINI MAGLITE 2AA. Upgrade your MAG-LITE torch or similar battery-powered gadgets with a highly efficient LED-bulb. 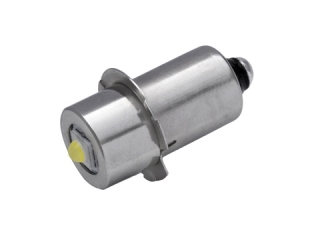 Energy-saving LED - 60 Lumen 0,5 Watt for MINI MAGLITE 2AA and MINI MAGLITE 2AAA. Upgrade your MAG-LITE torch or similar battery-powered gadgets with a highly efficient LED-bulb. Super bright Torch LED - 220 Lumen 3 Watt for MAG-LITE 3 - 6 C/D-Cell. Increase the brightness of your MAG-LITE torch or similar battery-powered gadgets with a highly efficient LED-bulb. Super bright Torch LED - 220 Lumen 3 Watt for MAG-LITE 1 - 3 C/D-Cell Increase the brightness of your MAG-LITE torch or similar battery-powered gadgets with a highly efficient LED-bulb. 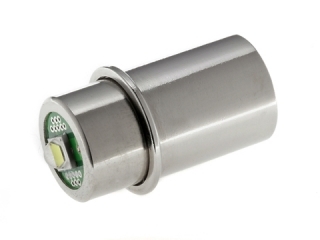 Energy-saving Torch LED - 130 Lumen with Thread Socket. Upgrade your battery-powered gadgets like torches and head lamps. Replace your light bulb with our energy-saving LED bulb. Super-Bright Torch LED - 3 Watt and 200 Lumen with Plug Base. Upgrade your battery-powered gadgets like torches and head lamps. Replace your light bulb with our high-power LED bulb. Super-Bright Torch LED - 3 Watt and 220 Lumen with Plug Base. Upgrade your battery-powered gadgets like torches and head lamps. Replace your light bulb with our high-power LED bulb. 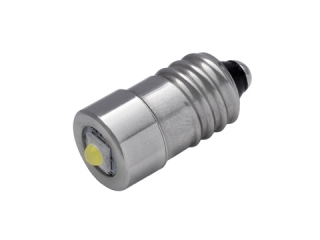 Energy-saving Torch LED - 100 Lumen with Plug Base. Upgrade your battery-powered gadgets like flashlights and laterns. Replace your light bulb with our energy-saving LED bulb.